Nothing prepares you for the jarring impact of an auto collision. Nothing prepares you for the pain and chaos and hardships that follow. If you or a family member was seriously injured in a motor vehicle accident, it is important to get legal counsel right away. The law firm of Bracamontes & Vlasak, P.C., will take action to preserve evidence and prevent the insurance companies from taking advantage of you at this vulnerable time. We then take a thorough approach to ensure that you are fairly and fully compensated for your losses, your suffering and the lasting impact of your injuries. With offices in San Francisco, we represent car accident victims in the Bay Area and throughout Northern California. Call us today for a free consultation. Many accident victims think they have time because the statute of limitations is at least a year away. Actually, your immediate action is needed to preserve your rights and strengthen your case. After seeking medical attention (and taking photos of the wreckage and your injuries), you should get yourself a good personal injury attorney as early as possible. Insurance adjusters may contact you shortly after the accident, either to ply a statement that can be used against you or to settle your case quickly for less than it’s worth. We can intervene to deal with insurers and stand up for the comprehensive compensation you need. 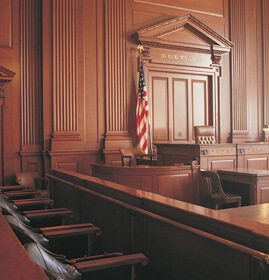 We commonly file lawsuits early in the case, and we are prepared to follow through all the way to a jury trial. This is especially true in cases of fatality or catastrophic injuries, to preserve your claims and put the liable parties and insurers on notice that we expect nothing less than full damages. Our San Francisco motor vehicle accident attorneys have obtained notable recoveries. We do this by adapting our approach to the specifics of your case. Call 415.835.6777 or email us to arrange a free consultation.